With 40 years serving London, Ron Kraft Auto Care is here for all your auto service and repair needs. From tires to air conditioning, our service station is a complete auto maintenance and repair facility servicing all makes and models of cars and trucks. A family owned and operated business since 1973 – incorporated in 1977 – we provide exceptional service with competitive pricing, knowledgeable staff and advanced diagnostic equipment. Come by and see why we have been in business for over 40 years. In June of 1973 Ron Kraft had the opportunity to venture into the automotive repair business. After years of long hours and hard work Ron with his wife Carmie succeeded in gaining the loyalty and respect of lifelong customers throughout the community. As a young entrepreneur, Ron realized the importance of customer service. With a combination of personal, courteous service and unmatched technical knowledge, our company had evolved into a leader in automotive repair with high-tech diagnostic repair equipment. Continuous training of our service technicians ensures our ability to accurately diagnose and repair your vehicle. 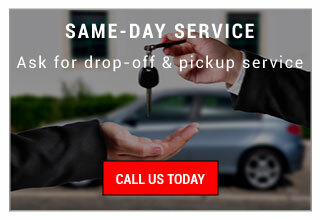 Customer drop-off and pickup provides easy access to have your vehicle repaired. Using top-quality parts allows us to offer quality workmanship with a written warranty on work performed by us. We offer a 1-year / 20,000-kilometre warranty on all new parts as well. Now in the process of succession to the next generation, our son Rob and his wife Nadine have the same integrity and sincerity, with a commitment of maintaining a strong customer relationship. We live up to our goal of serving customers with honesty and transparency. 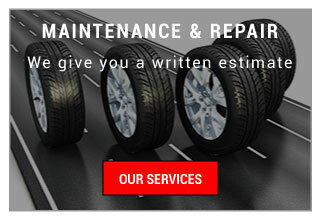 Depend on us to provide the details of what your vehicle requires and a written estimate. For over 40 years, we’ve served the London area in a trustworthy and personal way. Ron Kraft Auto Care is small enough to have our staff greet you by name, but large enough to serve each of your auto repair and maintenance needs.